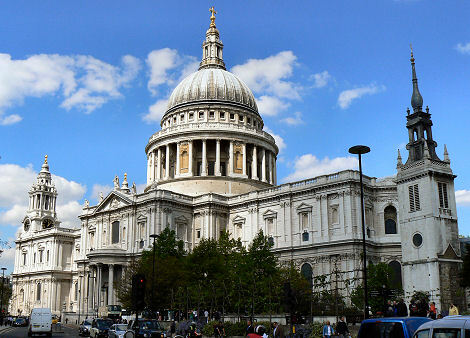 7th March 1802, London, England. 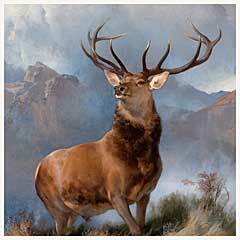 Edwin Henry Landseer was the son of an engraver, John Landseer. 1813: Won the Silver Palette of the Society for animal Painting aged 11. 1815: Landseer exhibited “Dogs” at the Royal Academy of Arts in London. 1818: “Fighting Dogs Getting Wind” was exhibited at the Society of Painters in Oil and Watercolour. 1821: Landseer’s “Rat Catchers” was exhibited at the Royal Academy and influenced the French artist Gericault. 1826: He was elected Associate of the Royal Academy. 1831: He was elected as a Member of the Royal Academy. Was to become the favourite painter of Queen Victoria and the darling of the British public although his paintings were dismissed as sentimental and technically unadventurous by the critics. 1865: Refused the Presidency of the Royal Academy. 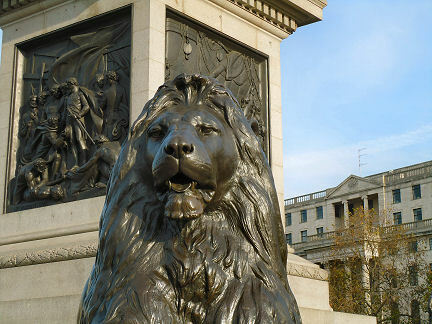 1867: Unveiling of the Landseer Lions around the base of Nelson’s Column in Trafalgar Square, London. 1st October 1873, London, England. Somerleyton Hall and Gardens, Lowestoft.